In 2016, corporate giving has increased to $18.55 billion. We see this as an important trend for nonprofits. That’s why we created a field just for companies to donate. 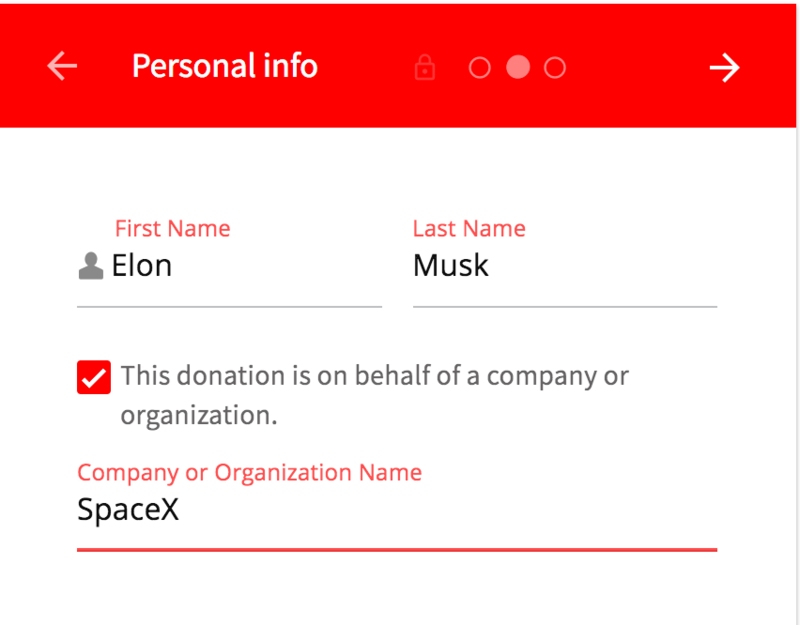 Log into your Donorbox dashboard and click on the “Edit Form” link next to your campaign name. Click on the Advanced tab. 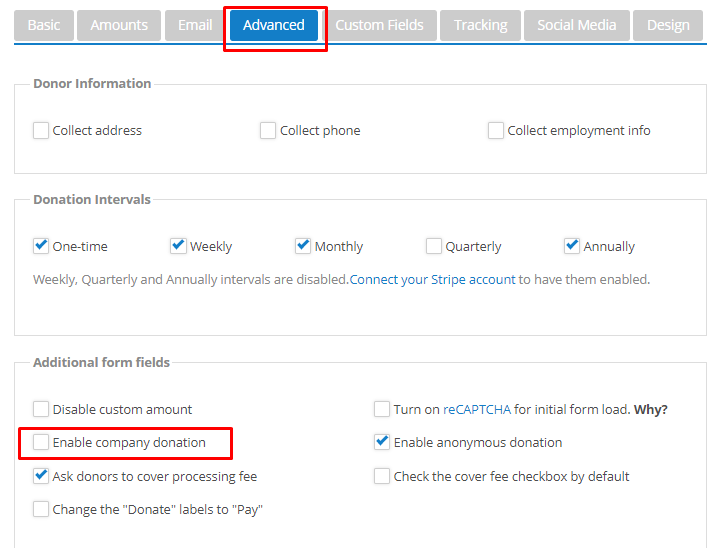 Check the “Enable company donation” checkbox so that it is enabled. After the donation is made, you will see the company name being recorded. This data is available in the donorbox dashboard as well as the CSV export. We hope this can play a small part in encouraging companies and organization to give back.